Search Engine Optimisation (SEO) is a marketing function that aims to improve your visibility in search results pages for terms relevant to your brand. In terms of return on investment (ROI), SEO is one of the most cost-effective of all marketing techniques. A flexible and intelligent SEO strategy can help you to gain a considerable advantage over your competitors. Through increasing your visibility in search engine rankings, SEO enables you to reach new customers whilst improving your bottom line. SEO is a highly complex discipline comprising many different elements. 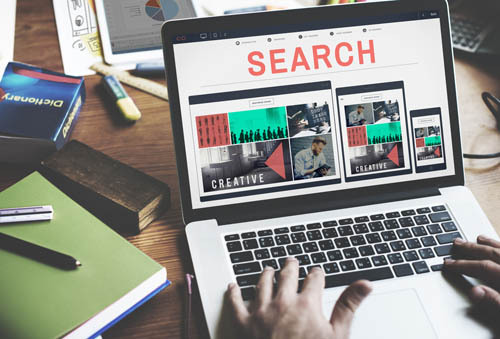 As SEO is governed by a set of unwritten rules from the search engines like Google (known as algorithms), a successful strategy must be designed to be adaptable. Good SEO isn’t about chasing quick wins and instant results. It’s all about playing the long game, and ensuring that your business can always succeed in the competitive online market.